Uncle Ben spoke last night in Europe and suggested that events of the last month might affect the Fed’s thinking. The markets took his comments to mean that a 50bps cut is in the works for the December 11 Fed meeting. This morning there was news that the Treasury is working with money center banks and mortgage creators to arrive at means to delay implementation of the resets at higher rates of the sub prime mortgages that were issued at teaser rates. (The hang up seems to be the greed of mortgage companies who want to bet that they can make more money from the higher rates than they will lose on the bankruptcies. Greed is the word that describes this market and the first seven years of this century.) This is the news we suggested several days ago would comfort markets. Asian markets were mildly higher overnight and European bourses are up about 1% at midday. Bank stocks and Fannie and Freddie are 5% to 10% higher in the early going. Oil is down $2 with an $89 handle and Gold is also lower at $793. Treasuries are giving ground. J Crew had great sales and earnings news and the shares are up 12% this morning. We sold our position at $45.30 for a nice profit. Thank you Mickey. Dell is down $3 on what the street is conjuring as bad news. Earnings were up 27% and sales were above estimates but the company said it would be difficult going forward with computer sales. We bought more shares of DELL last night at $26.28 and again this morning at $24.90. We think the market reaction is nuts. Dell is priced at one time sales, has a ton of cash, has Michael Dell back running the company and has settled all its financial and SEC problems. Ed Zander the CEO of Motorola is resigning at year end and the COO of Motorola is going to become CEO. He is not a technical guy and the analyst we like who has been recommending the stock is musing that the resignation of Zander means that the fourth quarter sales of new cell phone products is not going well. But the shares are at less than one times sales with $ 3.50 per share in cash and no debt in the company and so we are going to maintain our position for now. Personal Income and Personal Spending were both up 0.2% which and should help the Fed cut again. The major measures opened the morning trading session up 1%. The S&P approached resistance at 1490 and backed off as did the DJIA. Today is the end of the month and the last hour action will be critical for both bulls and bears. Bulls would like to see a piercing of the formidable 1490 resistance level. We will be happy to put this month behind us. We doubled our holdings in BSX at $12.39 in accounts that own it and added it to a few more accounts. We also added more Walgreen to our large/aggressive accounts at $36.80 and purchased additional SYMC at $17.60 in those accounts. And we sold our 12 hour holding in Sears for a $7 per share gain. According to some of the blogs we read Goldman Sachs placed reduce on the tech sector today and those stocks are the main area of red today on our screens. It seems as if the lousy performance of Sears this year is getting to Eddie. Not to worry though, he has $2 billion in performance fees to cheer him this holiday season. Sears Holdings Corp. Chairman Edward Lampert criticized media coverage of his company and Wall Street commentary in a letter to employees Friday -- one day after the retailer said its profit plummeted 99 percent in the third quarter. Following the dismal results, Lampert came under heavy scrutiny by investors who had counted on the hedge-fund guru to turn around the ailing company. "While we were not pleased with these results, much of the commentary in the media and on Wall Street following the results ignores the strength of our company and the progress that we have made," Lampert wrote. In the letter, released in a Securities and Exchange Commission filing Friday, Lampert highlighted the company's positive steps over the past several years. The chairman said Sears has reduced its overall debt, invested more than $1 billion on capital expenditures and repurchased more than $3 billion in Sears’s stock, among other accomplishments. The chairman said Sears, like other retailers, has struggled with a difficult overall economic environment. Lampert noted that much of Sears' merchandise is related to home improvement, home maintenance and home turnover, which are tied to the struggling housing market. Lampert also said that Wall Street and the media have held Sears to a tougher standard than other retailers, including Home Depot Inc., Lowe's Cos., Macy's Inc., Kohl's Corp. and J.C. Penney Co.
"When other companies manage expenses carefully, it is often characterized as a sign of good management and prudence," Lampert said. "In the case of Sears Holdings, meanwhile, expense controls are often cited as a root cause of poor performance." Lampert acknowledged, however, that the company's efforts to add inventory have not resulted in improved sales and profitability, as expected. He said the company is taking steps to decrease inventory. Oil ended down $2.14 at $88.71. Gold dropped $14 to $782. Treasuries were flat with the two-year at 3.02% and the ten-year at 3.94%. Most European bourse indexes closed at least 1 % higher as did Mexico and Brazil. The DJIA surrendered all of its gains for the day into the afternoon but buy programs in the last half hour pushed it higher into the close. We aren’t complaining. At the bell the DJIA was up 70 points at 13382. The S&P 500 gained 2 points to 1482 and the NAZZ was down 7 points at 2660 as tech stocks failed to rebound. Breadth was 3/2 positive on the NYSE and flat on the NAZZ and volume was moderate. There were 110 new lows and 80 new highs. The bulls won day and the week and the bears won the month but the bears probably don’t feel anywhere near as smart as they did last Monday night. And we don’t feel the same as we did on Monday night. Citadel Hedge Fund has invested $2.2 billion in E-Trade Financial. The E-Trade news is not being emphasized on CNBC but it is big news because the government was involved in the plan. The rescue deal is that E*Trade is getting a $2.55 billion cash infusion from Citadel. In a plan overseen by the federal Office of Thrift Supervision, Citadel will make a two-part investment in E*Trade. The first component is the purchase of E*Trade's entire $3 billion portfolio of asset-backed securities for a value of around $800 million. The second component is the purchase of $1.75 billion worth of 10-year notes, paying an annual interest rate of about 12.5%. E-Trade joins Citi and Freddie Mac which sold $10 billion in preferred stock yesterday in finding deep pocketed financial backing. So that leaves Washington Mutual and Countrywide as the two major mortgage players that could use a cash infusion. There is discussion that BankAmerica is still in the wings on Countrywide after their $2 billion infusion two months ago. BAC’s next act would be a take under. This activity shows that the Fed and value investors are at work behind the scenes and eventually the talking heads will cease discussing the losses being incurred and instead move on the profit potential in the beaten down mortgage area. Asian markets were strong overnight with Hong Kong and China both up over 4%. European markets are mixed at midday and Oil is $2 higher on a major gas pipeline fire in Minnesota. Gold is lower and Treasuries are better in the early going. Preliminary Third Quarter GDP was up 4.9% with the inflation indicator up 0.9%. New home sales were announced as up 1.7% in October to 728,000 from 716,000 in September. But September sales were announced last month as 777,000 homes and were revised downward this month to 716,000. And that is how we got a 1.7% increase instead of a 10% downturn. Sears Holding had a penny per share earnings for the quarter and the shares are back down to $102. We traded the shares between $124 and $138 last summer and we are again taking a position in them in accounts where we traded it last summer. Eddie Lampert, the CEO and hedge fund guru, should stop running the company and get a retailing person it to shore up sales. Lampert made a billion dollars last year and the year before that for being a genius. This year he is a dope and his investors have seen their investment drop by 40%. They don’t get their money back although they have given their gains back and new investors are out big time money. Eddie keeps his two billion and the talking heads are saying he just is in a rough patch and that his ego is suffering. Some suffering. We would suggest that he is fine; it is his clients who are suffering. The customers’ yachts are in dry dock this year. We bought Cisco at $28.16 in accounts anticipating the eventual move back into large cap stocks with foreign exposure. CSCO traded up to $35 last month on good sales and revenue news. The pullback offers a good trading opportunity. We are also buying Pier One in accounts and adding Circuit City to smaller accounts. Both stocks are on multi year lows and having problems but they are worth the risk. If they solve them there is at least a triple if not a home run in both. Dell announces earnings after the bell today and it is the first major tech announcement since Cisco. The street expects the company to earn 35 cents per share on revenue of $15.33 billion. For the company's January quarter, current estimates are for earnings of 38 cents per share on revenue of $15.95 billion. For next year (ending January 2009), current consensus is for earnings of $1.68 per share on revenue of $64.3 billion. Prices of existing condos in Palm Beach County plunged 30 percent in October - the sharpest annual decline since the Florida Association of Realtors started tracking them in January 2006. The median price of an existing condo in Palm Beach County was $158,900 in October, the association said Wednesday, down from $225,500 in the same month last year. "Individual sellers are becoming more realistic and lowering prices," said Jack McCabe, a Deerfield Beach real estate consultant specializing in the condo market. Seller incentives have failed, he said, and appraisers have "returned to fundamentals." Palm Beach County has a 35-month supply of existing condo units, McCabe noted. On the Treasure Coast, prices of existing condos remained unchanged from a year ago at $225,000, the association said. Despite falling condo prices, sales continued to decline. In Palm Beach County, sales of existing condos fell 12 percent, and on the Treasure Coast they fell 13 percent. Statewide, condo sales fell 20 percent, with 16 of 20 markets posting declines compared with a year ago. The markets that increased were: Lakeland (9 percent), Miami (7 percent), Tampa (8 percent) and Tallahassee (17 percent). In the single-family home market, the Treasure Coast had a 41 percent plunge in sales compared with October 2006, the Florida Association of Realtors said. Single-family home prices on the Treasure Coast also fell, to a median of $201,000 from $242,400. The 17 percent price drop was the highest-percentage decline in sales in the state. Palm Beach County single-family home sales fell 27 percent, while the median price of an existing single-family home in Palm Beach County fell 5 percent, to $348,300 from $365,600 a year ago. There's a record four-year supply of condos and single-family homes for sale in Palm Beach County, according to Illustrated Properties Real Estate. The high inventory shows that there is still a gap between buyer and seller expectations regarding price," said Mike Pappas, chief executive of The Keyes Co. In a normal market, six months is the standard supply of homes for sale. Statewide, single-family home sales plunged 29 percent from a year ago, while median prices fell 8 percent, to $222,100 from $242,700. Not all single-family markets had falling prices. Pensacola prices rose 3 percent to a median of $161,900, the Florida Association of Realtors said. Miami prices remained basically unchanged at $354,800, and Fort Lauderdale prices rose 1 percent to a median of $354,000. Sales of existing single-family homes nationwide fell 21 percent to a seasonally adjusted annual rate of 4.4 million, the National Association of Realtors said. The median price fell 6 percent to $205,700 from $219,600. Condo sales nationwide fell 20 percent in October to a seasonally adjusted annual rate of 600,000 from 752,000 in October 2006. The median price of an existing condo nationwide fell 5 percent to $223,500 from $213,100. European bourse indexes closed mildly higher across the continent as did Mexico and Brazil. Gold was down $8 to $792 and Oil gave back its early gains to close 41 pennies higher at $91.02. Treasuries were higher in price lower in yield with the two-year at 3.06% and the ten-year at 3.95%. The spread between the 3-mo Treasury yield and the 3-mo LIBOR yield has continued to widen today, with the LIBOR at 5.22% and the Treasury @ 2.96%, so the TED spread is 2.26%. That's by far the fattest spread since August 20 and reflects continued distress (flight to quality) in the short-term credit market. With stocks rallying some gurus are suggesting that there is a dichotomy between the rally in stocks and the flight to quality in the TED spread. We don’t think there is a dichotomy and that is because the stock market is a discounting mechanism that looks forward six months and predicts how economic events will be perceived then while the LIBOR and T Bill rate are real time reflections of current sentiment about current events. It broke on the news wires this afternoon that Sprint/Nextel rejected an offer by Providence Equity Partners and SK Telecom of South Korea to invest $5 billion in the company and install Tim Donahue, the former CEO of Nextel as CEO of Sprint/Nextel. Of course they would reject the offer; the directors don’t want to lose their sinecure. The DJIA closed up 26 points at 13312. The S&P 500 gained 1 to 1470 and the NAZZ was up 5 at 2668. Breadth was 5/4 negative on the NYSE and NAZZ and volume was moderate. There were 150 new lows 50 new highs. Asian markets were mixed to lower overnight while European bourses are all higher at midday. Gold is off another $14 and Oil is down pennies. Treasuries are a tad weaker in the early going. Investors Intelligence had 47% bulls and 29% bears. Wells Fargo announced that it will set aside $1.9 billion in the fourth quarter for loan losses. And the markets yawned. That is how jaundiced the markets have become. In the it could be worse column we present the following from the WSJ. We like to think that we are value investors. The average large-cap value fund is down 2.6% so far this year, according to Morningstar Inc. But that average disguises double-digit losses at a number of well-regarded value funds. Among them, Touchstone Large Cap Value Fund is down 32% and the Hotchkis & Wiley Core Value Fund has lost 15.1%. Investors in Weitz Value, run by veteran value manager Wally Weitz, are down 14.2%. That contrasts with a 0.9% increase in the Standard & Poor's 500-stock index (including dividends) and an 8.2% gain in the average large-cap growth fund. There is a story making the rounds that BankAmerica approached Citi about a merger and that Citi refused to talk. This story may be apocryphal but it suggests that there are resolutions to the sub prime problems. And it also suggests that the banks and the Fed and Treasury department don’t think the situation is yet so dire as to require some persuasion for the large banks to merge as they did in 1983 and 1990. Of course these are the folks who brought us the Iraq mess and Katrina so their prescience at discerning problems before calamity is in question. An hour into the trading day and the major measures are all 1% higher. And now the real test begins. The bulls need to close the day on a positive note while the bears obviously want a reversal and a lower close. Existing housing sales were down1.25 in October on a month over month basis and down 20% for last October on a year over year basis. Durable goods orders were down 0.4% in October and down 0.7% ex transportation. We have a few stocks we have been waiting that we want to add to complete our buying list. We bought Circuit City at $6.20 down form $30 earlier this year. Ten years ago Circuit City was the place to shop for electronics and Best Buy was an avoid. The opposite is true now plus there is the added competition of Wal-Mart and Costco etc. CC is either going broke or it will go back to $30 eventually. We are betting on the a latter. We are reacquiring a smaller position in Qwest at $6.60 to go with our other low priced stocks. An in our larger/aggressive accounts we are buying Starbucks at $22.85. That is 20 times earnings and we think it is worth buying at this level. Finally we added a few shares of New York Times at $16.10. We sold stock at $19 a month ago and an analyst placed a sell on the shares this morning. The entire company is priced at $2.3 billion or half of what Murdoch paid for the WSJ. We think the shares are worth more and the shares have a 5% yield at this price. Two hours into today’s session oil is off another $2 to $91.90 and Gold is down $16 and trading under $800. Mr. Kohn pledged that the Fed “will act as needed” to address the volatility of the current economic situation. After three hours of trading in heavy volume the DJIA is up 262 points and 500 points in the last 24 hours. We are selling our financial exposure in our large/aggressive accounts. If the bottom of the financial panic was last week and the financials are going up from here all the other stocks we own for the longer term are going to do well. If not we have funds available to repurchase these issues a lower levels. The Fed Beige Book said the economy and retail sales and employment are softening. Walgreen was down at $37.50 in a continuation of yesterdays quick drop on what looked like an institution selling its position and we bought more shares in our larger accounts. Marvel Technology is off 8% today at a new three year low on bad earnings. It is a tech stock that makes chips and storage and connection stuff. We are buying shares in accounts that own CBS. The share price is down from $22 this year and $37 in May 2006. It was surely overpriced at some level but we are guessing that at this level it is worth a few shares in accounts. This is the fifth consecutive session the DJIA has moved triple digits. European shares ended higher with hopes for a U.S. rate cut triggering a broad rally and banks in particular seeing gains as valuations drew in buyers. The surprise is going to be when the market learns that Buffet is going to take over Countrywide or one of the troubled mortgage insurers, or if he has taken a large position in Freddie Mac or Fannie Mae. If any of those or similar occur it would be Katie bar the door for the bears. What is the origin of the expression, "Katie bar the door"? The phrase means "Get ready, there is trouble coming," or words to that effect. And its origins are a bit uncertain. The best theory is that it comes from a poem written in 1881 by Gabriel Dante Rossetti: The King's Tragedy. It had to do with the murder of King James I of Scotland in 1437. The king was set upon while cornered in a room with no bar for the door. Katherine Douglas, a lady-in-waiting to his queen, tried to bar the door with her arm. All she got for her trouble was a broken arm and a sliced-up king. Anyway, a lot of people think the line in the poem "Katherine, keep the door!" changed over time into "Katie, bar the door." Some other people think it came from an old Scottish folk song that didn't have anything to do with James I.
Mexico and Brazil were 4% higher. Gold lost $9 to $806. Oil dropped $2.85 to $91.57. Treasuries were weaker in price/higher in yield with the two-year at 3.20% (it traded at 2.90% yesterday morning) and the ten-year at 4.04%. The DJIA closed 335 points higher at 13290. The S&P 500 rose 42 points to 1470 and the NAZZ jumped 83 points to 2662. Breadth was 6/1 positive all day on the NYSE and volume exceeded 4 billion on the NYSE and but was just over 2 billion on the NAZZ with breadth at 3/1 positive. The average volume on the NAZZ is the only internal negative for the bulls. There were 155 new lows and 60 new highs on the NYSE. The bulls won the day and now own the week but are still down for the month. Asian markets were lower overnight as is Europe at midday. Treasuries have given back a bit of yesterday’s gains and gold is down $4 while Oil is off $1 in the early going. Abu Dhabi is going to invest $7.5 billion in Citi. They are buying a mandatory convertible preferred that yields 11%. The talking heads are saying that the 11% is a bad sign but since the convert will have to convert in 2 years the yield is illusory. There is probably a tax reason for the structure of the deal. Interestingly, a Saudi prince bought a stake in Citi back in 1990 when all looked lost and that turned out to be a prescient investment. Stocks had a slight bid on the Citi news but it looks like the rally will be sold. Talbot’s had a loss for the quarter but said that sales in November were positive on a same store sales basis. TLB expects to earn $0.70 in the fourth quarter. For some reason we feel like the stuff we are buying should be held this time. Maybe we are too old/tired to try and short trade. Also the pop trading would probably only leave us even on the trade since they seem to be going down more than they are going up. This sell off feels like the ones we used to have that provided good setups into the next year. In the sell off in 1990 we were down 10% in the Model and up 30% the next year. Don’t know if that will occur again. Certainly hope we are not down 10%. Going with our gut. It’s bigger than it used to be. We, too, are older and it is getting more draining but it beats the alternative. Below are stocks we own in most accounts. The third column is the High/low and the fourth is the present price. As is apparent all are near their 52 week lows and are down over 20% or more from their highs. Not all will return to their highs but many will over time. We would suggest that a good portion of any excess is out of these particular issues. Three hours into the trading session the DJIA is up 180 points. The test for both bulls and bears will be the last hour of trading which has gone the bears’ way for the past few weeks. In our large/aggressive accounts we took a too quick loss on BRE after we decided overnight to stick with the down fallen bank stocks and not real estate and moved the money to the SPDR Regional. We also added shares of Micron, AMD and Ford in those accounts and reinitiated a position in Rite Aid at $3.56 in accounts that own Cott. And we bought a few shares of Wintrust Financial which is selling at book value of $33 down from a high of $56 earlier this year. Citi bought in tons of stock at much higher share prices and now they are selling that stock to Abu Dhabi. Buy high and sell low could be the new motto for their stock and their mortgages. Again we say, out with the directors and top management. European markets closed lower but Brazil and Mexico were higher. Treasuries gave ground with the two-year at 3.07% and the ten-year at 3.95%. Gold dropped $15 to $811 and Oil was off $3.28 to $94.42. The major measures were volatile today with the DJIA up as much as 225 points. It then dropped to up less than 100 points in the first few minutes of the final hour but recovered to close up 220 points at 12961. The S&P 500 gained 21 points to 1428 and the NAZZ jumped 40 points to 2580. The rest of the markets were not as bullish with Breadth only 5/4 positive. Volume was good with volume in the NYSE over 4 billion shares. There were 350 new lows and 30 new highs on the NYSE. The bulls saved their hide for another day. Asian markets were higher overnight with Hong Kong up 4%. European markets are ails higher and Gold is up $8 at $833 and Oil has a $98 handle. Treasuries are firm. No banks or brokers went out of business while we were away but E-Trade is on life support and Countrywide Financial remains in danger. The WSJ reported this morning that Countrywide has borrowings of $50 billion from the Federal Home loan bank in Atlanta. We added a quite a few companies to accounts in the last week and today. We are buying smaller amounts but we want to take advantage of prices. The problems are now acknowledged in the market place and will be sorted out over time. The talking heads seem to be wary of last Friday’s rally and that is a positive. We own a whole bunch of stocks all of which we have owned over the years. We are comfortable concentrating on issues we know that are well off their highs. Alan Greenspan commented over the weekend that the sub prime crisis is contained since all the sub prime mortgages have been written down to zero. He was being facetious, we hope, but there is some fact in what he says in that the markets are treating sub prime as worth zero. Working out the mortgage problems will not be easy but the markets have recognized the problems and many st5coks have been hit worse than the major measures are now under to fairly priced rather than overpriced. We presume some smart folks who avoided this stuff when it was fully priced are now looking to buy the remnants. That is how markets work. We are not under the illusion that the pain is over but we the pendulum swings both ways and the mortgage fiasco is affecting the prices of other stocks that are on the periphery of the financial debacle. The markets are lower today and so we are initiating smaller positions in some financials in our large/aggressive accounts and will add as conditions allow. We repurchased National City which has lost half its value in three months, Fifth Third which has held well in the latest turmoil but is less than half its five year high, and AIG, the high quality insurance company which says it doesn’t have sub prime exposure. The price action in the shares is saying it does. We took small positions in Fannie Mae at $30 (the shares were trading at $70 in August) and Freddie Mac $25 (the shares were trading at $65 in August) on the assumption that these stocks wills survive even though they selling at less than half of their prices three weeks ago. And we repurchased positions in the Large Bank SPDR and also a position in the Regional Bank SPDR. We also bought Intel at $24.75, Cisco at $27.70, Pier One at $3.93, and Palm at $6.92. We also repurchased smaller positions in Comcast, Time Warner and GE in many accounts at lower prices than where we last sold them and added Micron and Alcatel Lucent to our very small accounts. European bourses ended mostly lower as did Mexico and Brazil. Gold was unchanged at $825 and Oil closed at $97.509 down 60 pennies. Treasuries were better with the two-year at 2.93% and the ten-year at 3.83%. The Treasury yields are way ahead of the Fed. CNBC is reporting that Citi is going to cut 45,000 folks to get costs under control. So these folks have to pay for the stupidity of the board of directors who keep their jobs and their fat compensation. There were only 200 new lows on the NYSE today. To wash out we need 800 or so unless last Wednesday’s 700 plus was the wash out. The DJIA lost 250 points on the day to end at 12730. The S&P 500 dropped 35 points to 1405 and the NAZZ was down 55 at 2540. There were 200 new lows on the NYSE and 40 new highs. The grandkids arrive today and so this is our last post until Monday the 26th. Asia and Europe were higher today. Hewlett Packard had good results last night and lent a positive tone to the markets this morning. The major measures traded 1% higher in the first hour and then slowly traded lower till they were down 1% after the release of the Fed minutes at 1:15pm. Sallie Mae and Fannie Mae blew up again today with both stocks down a stunning 10 plus dollars per share on news that SLM had a $2 billion loss for the quarter and needed to raise capital and may cut its dividend. That news may cause the Fed to take a bit more notice of the subprime crisis. E-Trade, the online broker and bank is trading at a bankruptcy price of $3 again. And Countrywide is back under $10 and soon to bankrupt too. One or two of these folks failing with the financial turmoil that will cause will focus the Fed. The talking heads are calling for a rate cut. That isn’t going to help because today SLM said it was raising mortgage rates to make up for losses. The Fed/Treasury should buy mortgages from banks at a 25% discount and fix the rates at 8% for homeowners only-not speculators. Such a plan is possible with a little imagination. The problem is that the powers that be have no imagination. Even our relatively conservative 30% to 45% equity positions are damaging portfolios over the short term. We continue to avoid financials for the present and are comfortable with our holdings. As we said before, their beta is greater than the S&P 500 and so the down moves exceed the S&P 500 but they will outperform on the upside too. The DJIA rallied to positive in the last hour on the backs of Exxon and Chevron which jumped $4 and $3 respectively as Oil closed up $3.77 at $98.45. Gold gained $10. At the close the DJIA was up 50 points at 13010. The S&P 500 gained 7 points to 1440 and the NAZZ rose 4 points to 2603. Breadth was 5/4 negative on the NYSE and 3/2 negative on the NAZZ and volume was active. There were 610 new lows and 40 new highs. Goldman downgraded Citi overnight and coupled with lousy earnings and a new warning from Lowe’s the stock markets opened lower on Monday. As we were driving over the weekend watching the farmers finish their corn harvest we had the thought that this November sell off is like the weather in that the killing frost was about a month late this year and so was the usual October correction. As is obvious, we have again been adding stocks to accounts. We have decided that the resumption of the August correction in November is a reoccurrence of the normal autumn event. This year it has subprime as the proximate cause but the long bull run from 2003 needed and is receiving a good dose of reality. We have been adding positions in smaller size than we normally do. The stocks we have been buying are attractive but we are leaving lots of room and cash for the unexpected. The talking heads are singing the praises of Goldman in that they say they are making money from the sub-prime mess. Too bad the customers of their two large hedge funds didn’t. The question about where the customers’ yachts are comes to mind. Asia was lower and so is Europe. The markets seem to be taking their cues from the U.S. markets these days. CNBC is broadcasting from Abu Dhabi and the commentators are calling everything there superlative. We would suggest that excessive might be a better description. Last week we purchased General Motors and we are buying more today in smaller accounts. Both Ford and GM are lower in part because their finance operations may be under pressure. We traded GM successfully last month but this purchase is to hold for 50%. We bought today at $28. GM was $45 two weeks ago. We also added TLAB today and more Sprint to go with shares we acquired last week. These purchases are also for the longer term. TLAB is selling at one times revenue and Sprint is on a multi year low. On Friday we also initiated a small holding in Williams Sonoma in out larger accounts and bought a potion in Boston Scientific in many accounts. Europe closed 1% and more lower. We continue to look for stocks to add. But we don’t want to get ahead of the correction and so we are spacing the buying. Gold ended down $5 at $782. Oil closed up 90 pennies at $94.74. Treasuries were higher predicting trouble with the two-year at 3.16% and the ten-year at 4.06%. The DJIA closed on its lows down 215 points at 12960. The S&P 500 dropped 25 points to 1435 and the NAZZ was off 40 points to 2595. There were 535 new lows and 35 new highs on the NYSE. The bears are in charge. We will be traveling for the next 10 day and so our posts will be intermittent. The next post will be Monday November 19. We are headed for Chicago for business meetings, then on to Kentucky for the opening of the basketball season, and then back to Chicago for the Thanksgiving week for more business. Asian markets were on fire overnight with Japan, Hong Kong, and China all up over 4%. European markets were trading mildly higher at midday and Gold is up $12 with Oil up $1.50 as the dollar is again falling. Treasuries are a tad weaker. The Producer Price Index was up 0.1% for October with the core rate unchanged. The year over year number was not so benign with PPI up 6.1% and core CPI up 2.5%. October retail sales were up 0.2% and ex autos retail sales were up the same 0.2%. HSBC, the large worldwide bank, said that it is going to write-down $3.4 billion. Bear Stearns said it is going to write-down another $1.2 billion in the fourth quarter but after that everything is great except their mortgage collateralization business, from which they have been deriving a large chunk of their profits, is kaput. The markets like the news and stocks are going to open higher. Investors Intelligence had 51% bulls and 26% bears in the latest reporting period. That bullish number is bearish. With the markets lower we are repurchasing five stocks we sold recently that are trading about 10% below where we sold them. They are AMD, Micron, Yahoo, Dell, and Alcatel Lucent. We are buying to own not to trade. We also bought a small amount of TLAB in our large/aggressive accounts to won not to trade. We know, we know, but we are buying for major 50% or more moves. This gives our accounts about 30% or less exposure which is about where they should be given market conditions. Oil gained $2.57 to close at $93.80. Gold jumped $16 to $814. Treasuries were flat with the two-year at 3.55% and the ten-year at 4.26%. Europe closed mostly higher as did Mexico and Brazil. The DJIA dropped 93 points to end at 13214. The S&P 500 was down 12 pints at 1470 and the NAZZ dropped 30 pints to 2745. Breadth was 3/2 negative and volume was brisk. Friday is monthly option expiration so expect continued volatility. There were 192 new lows and 44 new highs on the NYSE. Asian markets were mildly lower overnight and European bourses are lower at midday. Treasuries are firm in the early going while Oil is lower trading at $93 and Gold is flat after yesterday’s swoon. Wal-Mart reported better than earnings and gave positive guidance going forward. That has placed a bid in the markets and the major measures are going to open 1% higher. Home Depot had less than earnings and was not enthusiastic going forward. They are also going to suspend their buyback program with the shares trading at $29. They managed to buy back billions in stock with the share price at $38 but they don’t want to buy any of their own shares at $29. And the new CEO is making a bundle and we are willing to bet he is happy to take options as a bonus this year based on the $29 price rather than the $38 price. Bank of America said it will take a pretax write-down of about $3 billion in the fourth quarter to reflect a drop in value of securities related to mortgages and will spend $600 million supporting in-house money market funds that are exposed to troubled financing entities called structured investment vehicles. The shares are trading higher on this good news. The markets are very strong two hours into the trading day with breadth 4/1 positive and volume heavy. JP Morgan says it has $1.5 billion in CDO exposure with none of it sub prime. That is a plus for that bank. Goldman Sachs said that it had no more write downs coming and that it is fully hedged on sub prime. That news allowed the DJIA to tack on another 100 points. European bourse indexes closed mixed on the day but Brazil was higher and Mexico jumped 3%. Oil lost $3.18 to $91.45 and Gold was down $4 to $8.03. Treasuries closed lower on the stock rally with the two-year at 3.55% and the ten-year at 4.26%. The DJIA held in the final hour and closed up 325 points at 13300. The S&P 500 gained 41 points to close at 1480. The NAZZ jumped 90 points to 2612. Breadth was almost 4/1 positive on the NYSE and 2/1 on the NAZZ and volume was brisk. There were 212 new lows and 30 new highs on the NYSE. Asian markets finished lower. European markets are mixed at midday. Oil has a $94 handle and Gold is down $20, oops. Treasuries are not trading today. We have been together for over 25 years. I have rarely seconded guessed your decisions and the direction of your strategies. I am somewhat confused as to some of the trades we have made over the last week or so. Your last comment you emailed stated you wanted to move to quality stocks that would double in value over the next two years. Honestly Bud, I am not sure I have seen you stay invested in a stock for two years. The other area I am cloudy on is why we sell certain stocks and then buy them back within 48-72 hours for nearly the exact same price that we sold them for? You have a level of confidence in Retail stocks that all indicators would lead me to believe that it is going to be a dismal holiday season and the losses that have come from these stocks appear to support the current projections. What are you seeing that would be to the contrary. At one point in the downward moves we experienced, J Crew and Talbot’s almost represented 50% of the losses. If you are comfortable that they have a foundation to recover, then that would be fine. Please don't take my comments as being critical or judgmental, my results would never give me the basis for that position. I guess I am trying to understand the logic for some of the actions like I have included. I am very concerned about the overall credit issues we are faced with, not only in housing but in individual credit card debts and equity lines on homes, where we are facing numbers that are historically staggering. In the greater scheme of things, these numbers may not look big but I think they are very concerning. Jane and I see it everyday in the real estate field in Lake Forest, where one would not think the problem would be significant. Consumer confidence and spending, I would think are important factors as I look at the make up of most of our portfolio. I just wanted to pass on some thoughts that were rattling around in my head. We run everyone's money as we do our own with adjustments for age and resources. Since we are close in age etc. your funds are included in our large/aggressive accounts trading scheme in which we also trade our own money and the Model Portfolio which is our money. We run your wife’s a bit more conservatively since the bulk of it has been generated in the last few years from real estate profits. We don’t consider your concerns to be second guessing since we are sure many clients have the same questions and the concerns you expressed in your e-mail. Our results from market timing from 1999 to 2003 were excellent. Since then our caution and desire to protect those gains has tempered our timing returns. Entering the autumn period of this year (2007) we expected a correction during September/October and when it occurred in August into early in September we proceeded to buy what we considered good quality relatively well priced stocks for the usual year end/New Year rally. Last year (2006) there was a correction in August/September followed by a rally that continued into year end with minor corrections along the way. When we sensed the correction had ended in early September 2006 we began increasing market exposure in mid September. Those actions allowed us to post an 8% gain for the year. This year (2007) we became more fully invested in the September/October period because the market action mirrored last year and because our purchases seemed to be working and visions of sugar plum gains danced in our brain. The accounts were up 8% to 10% for the calendar year on October 31, 2007 and we were feeling satisfied and, in retrospect, too smug. The drop November 1 surprised us. We had expected a run of the mill pull back in November as occurred in 2006 and so the 350 points one day drop was a surprise. We have been surprised often in our investment career but because we have much more money than we did 25 or even 10 years ago the drop in absolute dollars was eye-opening. We hadn’t questioned the rise in dollar value of our accounts in the preceding month because that is what the accounts were supposed to do at this time of year. But the drop was a horse of a different color. That 350 point drop occurred on a Thursday and we actually bought two stocks on that Thursday morning when the DJIA was down 200 points since and we thought there would be a rebound. When the DJIA and the other major market measures instead closed on their lows on Thursday we used the rally Friday morning to raise cash and lower the exposure of the accounts. We realized that not only were we pretty fully invested but the stocks we owned had a higher beta (would rise faster and drop more swiftly than the overall markets). And we had not expected the drop. Over that weekend we decided that in our Friday selling we had too severely reduced tech exposure and had kept bank exposure which was the wrong thing to do in that we were selling potential short term winners and keeping potential short term losers. And so on Monday last week bought back a few tech stocks to again increase exposure. On Tuesday of last week we had the opportunity to sell our bank stocks with a small loss when they rallied. Rather than doing that we held with the hope of a bit more of a rally and getting even and out. Greed overruled prudence. We held our two bank stock positions because we felt comforted by the fact that we had eliminated the positions in National City and Fifth Third earlier but we made a mistake in not taking selling our remaining bank exposure for a small loss when the opportunity presented itself. The 350 point drop on last Wednesday, the second 350 point drop in a week, suggested to us that maybe at the least a more severe November correction was in the cards. Two 350 point drops in the DJIA within 7 days is an unusual occurrence. Two such drops within a seven days in the month of November has only occurred four times in the last fifty years and three times of those four the DJIA moved lower for the month of November. And we were not expecting the second drop. As a result we decided that we should get back to our normal 20% to 30% invested position. In the process we sold the tech stocks we had repurchased since we were going to maintain our MOT and SYMC holdings for tech exposure. The trades in the tech stocks were pretty much a wash. The second 350 points drop erased most of our gains for the year but accounts are still positive for the year and the action of the markets is reminiscent of 1990. In that year there was a threat of war with Iraq, now it is Iran plus a war in Iraq. Bank stocks, led by Citi and the Texas banks, were in trouble. Most of the Texas banks all failed in 1990 and Citi survived only because the Fed allowed it to. In 1990 stocks began selling off in August and did so through the rest of the year. We didn’t sell in 1990 and our accounts we down 10% that year. As opposed to what we wrote in 1990 and also last week (a foolish consistency is the hobgoblin of little minds) we decided that it wasn’t too late to sell. Since the late 1990s we have been much quicker to go to cash when trouble looms and/or when we find events or market action occurring that we didn’t expect. The only reason we would hesitate to sell is because it is disconcerting to our clients and might make us look foolish. But if we are selling in our own accounts we are compelled to sell in our client accounts since we say that we run both the same. And if we look foolish, so be it. We have been around long enough to know we can’t always be correct in all our decisions but we also know that cash earns interest as opposed to stocks which can go up and down quite rapidly. It is easier to move back to stocks when the dust settles or we think the risk /reward is better that it is to make up severe losses of capital. Every market correction is not the precipitator of a Crash. And we really have no idea whether this sell off the last two weeks is just a correction or the beginnings of something more severe. We were too heavily invested and we had to raise cash. Had we sold on October 31 we would have looked smart and we certainly would have had many more dollars. We didn’t and we and our clients lost our gains for the year. But that is all we lost. Regarding long term holdings you are correct that we haven’t had many in our investment careers. Short term trading got us through the tech bear market of the early 2000s. You rode out that bear market at another firm with some of your funds. Those funds were invested in a buy and hold account seeking long term gains and you would know better than we how difficult it was to hold those funds and trust the buy and hold philosophy. We had a few discussions about what should be done with the funds in 2003 and we told you at the time that if you transferred them to us we could not run the buy and hold money with the idea of making up the losses. That you eventually moved the funds from the buy and hold strategy might suggest that buying and holding in this era of volatile market action is more difficult and less rewarding than our timing approach has been. There is no right and wrong in this business. There are different styles. Our style of market timing versus buy and hold has evolved as our personal savings have grown. We hate to give back our yearly gains and we are reluctant to reduce our potential for gain by not holding a lot of stocks but we are even more reluctant to go minus on a year to year basis. The S&P 500 was at 1450 at the turn of the century seven years ago and has only recently regained the 1450 level. Our accounts that we have managed during that entire period are 50% to over 100% higher. That is how we get long term performance. When we say we will hold a stock for the longer term we know that seems strange. Retail and bank stocks are out of favor for different reasons. Retail stocks are not out of favor because their financials are misunderstood or their capital is threatened. Bank stocks are. At some point both the retail and bank areas of the market will be a buy. We were early on both and have chosen to ride some retail through the turmoil because we think the reasons for the sell off are known. Talbot’s market cap is 25% of sales. When they get the right clothes the share price will rise. The markets may recognize the value before same store sales improve. When the markets do and the share price rises we will sell whether it is next month or two years from now. TLB is priced at this level because it is a thin trader. It is a value stock and if the LBO Market had not disintegrated in the last few months it would be a prime candidate for an LBO. But if we have too large a holding in accounts, which we did, it is too difficult to ride it down under $10 even though we know eventually it will sell for $25. J Crew is a failed momentum stock that has retuned to fairly priced because JCG doesn’t release monthly same store sales number and the traders and hedge funds that ran it up in price needed money to cover their sub prime problems or were scared to hold it without those numbers. Two months ago JCG was trading at $55. Now it is $38. We think it is worth the risk. But we did accumulate too large holding when we were masters of the markets in October. We have corrected that. Bank stocks are a different story. We bought early and were planning on riding through the turmoil until we realized we weren’t comfortable with the unknowns. And so we decided to hop off and maybe revisit at a later date. If the banks stocks rally without us owning any we will still benefit because all the other stocks will probably rally. The converse is not true. We have always been more comfortable buying out of favor stocks. Our mistake this time was buying too large a position to begin with. We have corrected that mistake. Finally your comments on the credit and financial situation are right on. We have been writing and worried about the difficulties for many years. A $ 9 trillion debt, a difficult war and threats of another, a collapsing dollar and consumer malaise may or may not be priced into the markets. Stocks are a means to gains. The momentum stocks have held up for now. If they tank the whole market will. Google is a great company. So was Cisco in 2000. Cisco dropped 80% in value when the major sell off came. One of the thoughts that passed through our mind over the last two weeks was that we have been suggesting that the markets have been and are ignoring many serious problems. The swift drop in value of the accounts reminded that we don’t want to be fully invested if our concerns come to pass. Thanks for the questions. Interestingly, if we had sold the stocks bought in September/October and gone to cash (the same amount of trading) on October 31 we doubt anyone would be questioning our timing methods or our judgment. Our actions would have been the same only our timing would have been successful. That is the curse of market timing. The benefit of market timing even in a situation where we surrender gains that – remember, were the result of market timing- is that we are now mostly cash and in a much more tenable position. And we still have the capital and potential for wonderful profits down the road. The Wall Street Journal had an article on Saturday about E Trade Financial, one of the largest on line brokers. ETFC is trying to determine the size of a write-down on CDOs that it has to take. Citi downgraded this morning to a sale. And the share price is on an all time low at $3 down from $25 earlier this year. They are burnt toast. None of the talking heads have mentioned it but it is a ticking time bomb. The company, one of the biggest online brokerages, at the time also lowered 2007 guidance because of "the possibility of further credit deterioration." E*Trade uses some $40 billion of customer cash from its bank and brokerage to make investments, including in asset-backed securities and CDOs. Separately, E*Trade disclosed that the Securities and Exchange Commission is conducting an informal inquiry of the company's loan and securities portfolios. The company is cooperating with the SEC inquiry, which began Oct. 17, according to disclosure in the company's third-quarter report. European shares closed higher in an uneven session, as investors turned away from the commodity sector amid worries that upheaval in the credit markets is dampening risk appetite, although sentiment that banks such as Barclays have been hurt too much helped markets close with gains. Fannie Mae is down 10% ($3) today while all the banks stocks are higher. That doesn’t make any sense. Oil is down $1.43 and Gold is down $30 in light trading this afternoon. The DJIA is surrendering a 100 points gain from earlier today. The momentum stocks are lower today as the beaten down banks and retail move higher. First Solar which traded at $225 last Thursday when Jim Cramer recommended it is down $25 today at $175. It traded at under $100 a month ago. Crocs was recommended today but is off $3 and down over 50% from its high. Baidu is down $25 to $315. It traded at $425 last week. Apple and Research in Motion are both off $8 per share. Even the Google is down $15 at $648. It was $750 last week. We don’t know whether this is a one day event or a change in market character. Also we wonder if the folks selling are the ones buying. We think not. The credit card delinquency rate was 4.5% in October up from 3.5% a year ago. There are $700 billion in packaged credit card backed securities debt similar to mortgage CDOs. Jim Cramer must be reading our stuff because at 1:20pm he posted a comment about the repercussions of a failure at E Trade Financial. By the way he didn’t mention this stock on his daily afternoon comment show on CNBC. That is unusual but not surprising. Correct me if I am wrong, but an E*Trade failure would be a big deal. It would be the first non-mortgage broker to go under. But the difference is that there's a ton of retail money in this firm, and the company is hugely visible -- unlike the American Home Mortgages and the New Centurys. Sadly, they have a lot in common. E*Trade bought a huge amount of really horrible mortgages and home-equity loans made by the defunct mortgage brokers and really got it all wrong. I think that's what all these departures are linked to. To me, the issue here is the press that E*Trade gets. The stock is down so badly that I think people will take their assets out of the place, and already I hear from Aaron Task that his sources say phone volume there is off the charts, with panicked callers fearing they'll lose their accounts to the company's bankruptcy). I don't really know what E*Trade can do. It could try to get Fannie Mae to buy stuff from it, but look at how that stock's doing. It could put itself up for sale, but why would anyone want that mortgage book of business? Or it could simply bet that there won't be a run and soldier on. Right now, it looks like it is doing the latter. My point: If something bad happens here -- and this stock is down huge so I bet it will -- this will be the lead story and retail investors ain't going to like it. Brazil closed down 4% and Mexico was down 2% today. Oil ended at $94.35 off $1.97. Gold closed down $27 at $808 as most commodities were clobbered and the dollar rallied. The DJIA rally fizzled in the last hour as a 100 point midday gain turned to a 50 point loss. The momentum stocks pared their losses going into the final hour but when the major measures turned lower so did the momentum stocks gave up their rally attempt and closed on their lows for the day. Or maybe the fact that the momentum stocks didn’t rally was the reason the major measures reversed and closed lower. At the close the DJIA was down 50 points at 12992.. The S&P 500 dropped 15 points to 1440 and the NAZZ lost 42 points to 2585. Breadth was 5/4 negative and volume was brisk for a holiday. There were only 3 new highs on the NYSE. There were 60 new lows. If that 60 new low number were 800 we might think a snap back rally was in the cards. But the new low number is too low. The bears snatched the day from the bulls in the final hour of trading. Yesterday breadth gained at the end of the day and we didn’t correct our statistics. Breadth yesterday was only 5/4 negative as a result of last hour rally. And volume on the NYSE exceeded 5 billion shares. Asian markets were mixed to lower overnight and European bourses are lower by over 1% at midday. Foreign markets were advancing until rumors that Barclays Bank was going to take a $10 billion write-down began circulating. Barclays denied the rumor. Oil is at $95 and Gold is at $833. Treasuries have a bid. Goldman Sachs placed a sell on 3M. Wachovia Bank announced before the opening that it was adding $600 million to loss reserves for CDO exposure. That announcement set a negative tone and the DJIA is going to open 1% lower. Many pundits seem to be worried about missing the next rally. Many of the current talking heads are the same folks who said to buy lower tech stocks at the end of 2000, and in 2001 and in 2002. They were eventually correct but most folks ran out of money before the lows were made and had to have great fortitude to survive the collapse and await the recovery in 2003. The talking heads may have out-preformed their peers but the out-performance was still negative. The activity of the last two weeks has given us pause and we have moved from seeking gains to preserving capital and readjusting our market perspective. We still plan to do some buying before year end. But we want to let the dust settle and regain our bearings. We will buy more names in smaller amounts when we do. The NAZZ is down 7% in the last three days. Two hours into the trading day and bids are beginning to show up for banks and brokers. The DJIA is still down 175 points but buyers are appearing. Back in 1990 when the same type of capital charges were hitting banks eventually corporations, with large cash positions, had to fess up to having lost money on worthless paper that they purchased to get a little more yield. There haven’t yet been any of those disclosures but we would guess that there are many companies out there who bought CDOs with their cash reserves who are now wondering how to now price them. Their accountants will be asking questions. Those revelations haven’t yet dawned on traders since many present traders weren’t around in 1990. European shares ended lower rocked by a poor opening on Wall Street and as worries about sub-prime exposure again rattled the banking sector. Technology shares also came under pressure. Bourses indexes were down 1% to over 2% across the continent. Charles Prince, the deposed head of Citigroup, will get a goodbye package worth about $100 million. Prince, who stays on as a consultant until the end of the year, gets a pro-rata cash "incentive award" currently estimated to be worth $12 million. It also includes $10,716,469 in restricted share awards and $16,046,703 in stock options that will automatically vest at his departure. Prince owns 1.61 million shares in Citi, currently worth about $53 million. Citigroup has written down $20 billion so far. Remember when Uncle Alan Greenspan was worried that if Bush didn’t cut taxes the national debt would be paid off by now: so much for Uncle Alan’s prescience. The University of Michigan survey at 75 is at its lowest level since Katrina and the second lowest level since the survey began. We reduced positions in J Crew and Talbot’s and Cott. We retain ownership but have reduced percentages of each to bring them in line with the overall invested portion of the accounts. JCG was a 10% holding and now it is 5%. We sold Coldwater Creek. Entering the final hour of trading all the large banks and brokers are trading green while the recently strong tech and momentum stocks remain in the red. The DJIA is down 90 points. The green banks and brokers suggest short covering going into the week-end when a rescue deal may be announced. Oil ended up 94 pennies at $96.40. Gold lost $4 to $833. Treasuries closed strong with the two-year at 3.40% and the ten-year at 4.25%. Brazil was higher on the day while Mexico was lower. The DJIA rallied to down about 60 points with 45 minutes to go today but then shorts stopped covering and/or the dip buyers ran out of steam and/or day traders who were buying in the hopes of a reprise of yesterday’s last hour rally gave up. And so the major measures sold off to their lows of the day and the week and the month. The DJIA close 225 points to end at 13042. The S&P 500 lost 21 points to end at 1453 and the NAZZ dropped 68 points to 2627. Breadth was 2/1 negative and volume was active with volume on the NYSE volume exceeding 4 billion shares. There were 700 combined new lows which were less than yesterday’ 900 plus lows. Asian markets tanked overnight with most down 25 or more. And at midday European bourses are lower as they await the opening in NYC. Oil is over $96, Gold is up another $8 and Treasuries have a bid. Futures are indicating a slightly higher opening in the U.S.
Ford reported better than revenues and a loss of a penny a share excluding items when a loss of 47 pennies a share was expected. Folks are making a big deal of loss of market share for Ford. But if a company is selling cars on which it loses money to maintain market share what is the point. Toyota has been profitable for years and only reached number one this year. Ford can find the nitch to be profitable even if it isn’t number two, or even three. We are chagrined by the quick loss of 5% of our gains for the year over the past week. That evaporation of the gains is spilled milk and we have to look forward. In the last ten minutes of trading yesterday the S&P 500 broke a serious support level at 1490. Yesterday was the second day in two weeks that the markets easily dropped over 350 points. One day is an anomaly, two days are not. With the markets under pressure and still racked by unknown knows and known unknowns we would rather be on the outside ruing missed opportunities than owning stocks. For us, fear has overtaken greed. We are selling our trading positions on the up opening. The stocks we are selling are all good quality but…. Two of the issues we just purchased yesterday and four others earlier in the week. That is the nature of trading and that trading served us well the last two months. But we didn’t sell the news on the Fed rate cut on Halloween. Shame on us. We are holding stocks we bought to own that we think have the potential to at least double in the next two years when the economy and market improves. And we will hold them although we may reduce the J Crew position. Everything we sold had losses. In essence we gave back all our trading profits of the last two months. That hurts. We sold AEO, STJ, JPM, SPDR Bank, DELL, MMC, YHOO, WSM, and partials of Motorola (in larger accounts). Wal-Mart same store sales were up 0.4% versus 1.1% expected. Cisco announced results last night that were better than but was cautious going forward. That caused the shares to drop $4 in overnight trading and will be a drag on the markets today. Jobless claims were 326,000 for the latest week. First Solar reported a doubling of revenues to $150 million for the quarter and earnings of 49 cents. The price of shares is up $50 per share to $217 this morning. That is a market cap of $15 billion. Not all bubbles have burst. On the bursting bubble side Hansen Natural Beverages is down $13 to $43 after disappointing. It was trading at $70 in the middle of October. HANS missed by 2 pennies. Oops. When Barack Obama's charter plane touched down Tuesday night, aides were surprised a car wasn't waiting to rush him to that night's campaign events. Someone stepped onto the tarmac and quickly realized why: They had landed at the wrong airport. Instead of going to Cedar Rapids, the plane had touched down about 100 miles to the west in Des Moines. Headline on CNBC from Bernanke testimony: Rising Oil prices do represent some inflation risk. It’s good to know that oil priced jumping from $52 in the summer to $100 today might represent some inflation risk. Gold ended down $3 at $830 and Oil lost 95 pennies to $95.85. Margin requirements were raised as of the close of business today and that may have created some selling. Treasuries were strong with the two-year at 3.50% and the ten-year at 4.28%. European bourses closed when the major U.S. stock measures were on their lows and so those markets closed lower. Brazil and Mexico closed lower. After being down over 200 points with two hours of trading remaining the DJIA and major measures rallied in the last hour to close up on the day. Greed lives. The major banks and brokers led the rally as they did on a Thursday in September when the Fed made its initial surprise rate cut the next day. We would guess that a combination of short covering and traders getting long Citi at $32 plus some hoping for tomorrow were responsible for the recovery. The bulls will take any help they can get. The DJIA closed down 35 points at 13265. The S&P 500 was down 1 point at 1474 and the NAZZ lost 50 points to 2696. Other major measures like the NYSE Index and the Russell 2000 were up on the day. Breadth was 2/1 negative on the NYSE and NAZZ and volume was active with over 4 billion shares traded on the NYSE. There were a combined total of 900 new lows on the NYSE and NAZZ. The Bulls saved the day and the very active volume and 900 new lows suggest the purge may be over for now. We think some Fed action is needed for any sustained move up. The problem is that if the market rally then the pressure on the Fed eases because they are worried about inflation if they continue to cut rates. And there is always tomorrow although tomorrow is guaranteed to no one. From realmoney.com: A key Chinese political figure said China should diversify its $1.43 trillion in foreign exchange reserves by buying strong currencies such as the euro; his statements are causing great pressure on the dollar. That combined with high oil and lingering worries that bad debt problems have not ended, and GM’s $39 billion loss is setting the stage for a sharply lower open. Asian markets were mixed overnight and European bourses are lower at midday. Oil hit $98 in overnight trading as traders concentrate on the winter heating season and supply disruptions. The price of oil is a joke. There have been no lines anywhere, there is sufficient oil but the traders have oil on a roll higher and momentum rules. Gold is on the move also up another $18 to $841 in the early going, the dollar is at a new low versus the euro and Treasuries are strong. As it stands now stocks will open lower by 1%. Investors Intelligence has 54% bulls and 22% bears which are a 1% increase in bulls and 1% decrease in bears. We wrote yesterday of the re-pricing of the CDO tranches and today the media is on the case. Several analysts wrote about the pricing overnight and placed numbers on the various firms and that has traders nervous. The known, no matter how bad is better than the unknown. But this time around we wonder whether traders will believe the numbers given. The Chinese are talking about diversifying their dollar holdings after the dollar has fallen 50% against the euro. The top woman model in the world has declared that she no longer will be paid in dollars. A client of ours tells us that oil will never trade under $80 per barrel in our lifetime. The reality is that oil traded down to $52 this past summer. We remember the same type of never talk in the early 1980 when short term rates were 20%. Only then it was that rates would never go back to 10%. The pendulum swings to extremes before returning to the norm and the extreme in the other direction. The globe warms and melts the ice which changes the temperatures which eventually lead to a new ice age. Droughts turn to floods and back again. The earth rotates and the sun warms and then the earth cools. Stocks jump and then fall. We come from dust and to dust return. The pendulum is relentless and eternal. The euro is at $1.46 to the dollar after being at $.70 to the dollar a few years ago. At some point the Europeans are going to become more aggressive in buying U.S. assets. The same goes for the Canadians. General Motors plans to book a $39 billion non-cash charge in the third quarter as it establishes a valuation allowance and reduces certain net deferred tax assets to $0 in order to be in compliance with federal accounting rules. Alibaba.com, a Chinese internet company, went public yesterday on the Hong Kong stocks exchange. The share price tripled in the first day of trading giving the company a market cap of $25 billion. Only in China or the U.S. in 1999 would that make sense. Yahoo owns a 37% stake in the parent company of Alibaba and 10% of the common stock of Alibaba.com. That ownership has been responsible for the volatility in YHOO over the past two weeks as traders were positioning to play the public offering of Alibaba through Yahoo. That is because U.S. investors can’t buy Alibaba shares until December 17. The share price of Yahoo jumped to $34 two week ago and was $32 yesterday morning before the selling off on a sell the news reaction. We bought the shares back at $$28.90 that we sold last week at $30.40. Citigroup generated $63 billion in net income in the last three quarters. That figure may give some perspective to a $20 billion write-down. Productivity was up 4.7% in the Third Quarter as folks got fired to make the bottom lies look better. Labor costs dropped 0.2%. At 1pm the S&P 500 is down 30 points at 1490 which is support and also the 200 day moving average. A break through 1490 means quickly lower. Breadth is 8/1 negative and down volume exceeds up volume 9/1. There are 700 new lows on the combined NYSE plus NAZZ. 1000 new lows would signal some capitulation. There are no more trading curbs at the NYSE to stop program trading. There are only circuit breakers that kick in when the DJIA is down 10% and then 20%. And so the markets will be more volatile which the traders want. It makes it more difficult for those actually buying individual stocks because they represent value to see them drop and extra dollar on a program trade. But we play with the cards we are dealt. This market resembles the savings and loan crisis year of 1990. That year there was the threat of war with Iraq and the banks taking huge write downs. We begin buying in August and suffered through the dismal fall. But 1991 turned into a banner year for us. We remember Don walking into the office one day in August and saying it was too late to sell and that we need to keep buying value. And that is what we did. Back then a 10% cash cushion was large. We have more now. Oil ended the day lower at $86.27 down 47 pennies. Gold was up $10 at $831 and Treasuries were higher with the two-year at 3.58% and the ten-year at 4.33%. European bourse indexes closed lower across the continent as did Mexico (-1.1%) and Brazil (-2%). It was ugly in the last hour of trading and stocks closed on their lows for the day with the major measures all down over 2%. We bought Marsh McLennan back in the last hour at $24.85 as it dropped $1 on the day. The problem now is to take our time and remember that in the panic type atmosphere that is developing stocks can go a lot lower a lot faster than our remaining cash reserves can handle. We aren’t going to say that we enjoy the drop but the stocks we own are value and we have cash to continue adding. The reasons for the sell off are apparent and while every sell off is different the psychology is the same. Greed is always at war with fear. Fear won the day. The DJIA closed down 360 points to 13330. The S&P 500 closed at 1475 down 45 points and the NAZZ plunged 76 points to 2746. Breadth was 8/1 negative and down volume exceeded up volume by a 10/1 margin. Trading volume was moderate. There were a combined 750 new lows. The bears won the day and with two more trading days remaining we are fastening our seat belts. Asian markets were mixed overnight with Hong Kong recovering 1.7% of Monday’s 5% loss. European bourses are higher at midday and in the early going Oil is over $96 and Gold is higher by $12 at $823. Treasuries are flat. We bought American Eagle Outfitters in our large/aggressive accounts. They will announce same store sales on Thursday and, as with all retailers, less than stellar numbers are expected. We are leaving room to buy more and add to other accounts also. AEO is priced at 12 times 2007/08 earnings and 10 times 2008/09 earnings. The shares are down from a higher of $36 in May. We are repurchasing a partial position in the Ford we sold last week at the price at which we sold. The dust has settled from the collapse on Thursday and we want to add the Ford back in a smaller quantity that leaves room to add if the world ends. Late fees accounted for 11.5 percent of servicing revenues in 2006 at Ocwen Financial, a big servicing company. At Countrywide, $285 million came from late fees last year, up 20 percent from 2005. Late fees accounted for 7.5 percent of Countrywide’s servicing revenue last year. That last paragraph suggests that the loan servicers have learned a lot from lawyers. Oil closed up $2.72 at $96.70. Gold jumped $14 to $825. Treasuries closed lower with the two-year at 3.70% and the ten-year at 4.38%. European bourse indexes were higher as were Mexico and Brazil. * Type I Securities that are 'marked to market' or where they could actually sell them according to the last price. * Type II Securities that are 'marked to model' where they could conceivably sell them at a price determined by an analytical model. * Type III Illiquid securities that are "marked to management," or prices subjectively determined to be fair value by the management structure of the firm. As of the past quarter, Level III investments at four of the five major investment banks grew 36.7% from $156.4 billion to $215 billion. The one major bank that wasn't included in this reported figure was Merrill Lynch (MER), which has since written down close to $9 billion dollars in losses. On November 15 investment banks and banks have to reveal the valuations they have placed on their level III holdings. In the case of Citigroup (their Level III holdings are 105% of equity base) and Goldman Sachs (185%) Morgan Stanley (251%) and Bear Stearns (154%) their Level III holdings exceed their equity base. These valuations may become a focal point of talking heads and media mavens over the next week. Our surmise is that the Fed is going to allow them to carry these holdings at non capital destroying valuations. The brokers were broke for several days in 1998 during the Long Term Capital debacle. And Citi was broke back in 1990. But as long as the Fed says they are solvent, they are solvent, and that is what the Fed did in those cases. We took a loss on TLAB in our large/aggressive accounts and placed the money in Symantec which is down the same percentage. We also bought St. Jude in those accounts. Our theme in investing now is to buy stocks that are down but had better than reports in the recent reporting period. We think these stocks have the best potential going forward. Both St Jude and SYMC are in this category. TLAB was not. The DJIA gained 120 points to close at 13660. The S&P 500 was up 18 points to 1520 and the NAZZ popped 30 points to 2825. Breadth was 5/4 to the good on the NYSE and flat on the NAZZ and volume was moderate on both. There were 500 new lows and 250 new highs on the combined NYSE and NAZZ. The bulls won the day but the volume and more lows than highs should show they have work to do. Asian markets were lower overnight with Hong Kong down 5%. The drop was the result of news that China's Premier Wen Jiabao holds a number of reservations about a plan to allow mainland investors to buy Hong Kong-listed stocks. European bourses are also lower on the Pakistan news and U.S. stocks will be opening down 1% on news that Citigroup has another $12 billion in write downs coming. Sub prime and other derivative losses are the talk of the town. Gold is down $3 in the early going and Oil is off $1.50 with a $94 handle. Treasuries are flat. We spent the week-end considering the ramifications of the sell off on Thursday and the Citigroup and Pakistan news. We note that many gurus seem to still be in the greed mode and while giving advice to avoid the money center banks and other financials the gurus are suggesting large cap stocks for investment. Our take is that no sustained rally to significantly higher levels will occur until the full extent of the financials problems is clearer. Citigroup did announce that they would be taking an additional $8 to $11 billion in write-offs which would bring their write-offs to $20 billion. It may well be that the major extent of Citigroup’s exposure is now know although the markets may not be recognizing that. The Fed is going to lower interest rates to allow the banks to recoup the banks’ loss which is the tried and true way. Lowering interest rates robs savers but increases the spread between the cost of funds/and loan rates and helps the banks recover their greed driven losses. We are taking a $2 loss per share on the SPDR Financials (XLF) and Wintrust Financial to reduce our financial exposure in our larger/aggressive accounts and we are buying back two better quality tech stocks that we sold on Friday. We decided we want more high quality tech exposure. We are repurchasing Dell at less than where we sold in accounts in which we sold Walgreen and Symantec at our sale level in accounts that owned it. That completes the restructuring of our portfolios to lessen the risk while at the same time maintaining investments in stocks that we think have good potential. Actually the stocks we sold also remain attractive to us but the reality is that with the markets within 5% of all time highs on the S&P 500 and DJIA we cannot have the too great market exposure we had last week. Citigroup held a conference call today to calm the markets. We don’t think they did. They suggested that they hold $50 billion in bonds for which they are reasonable stab at the value. That is not a confidence building statement. Gold closed up $2 at $810. Oil lost $1.95 to finish at $93.98. Treasuries were flat with the two-year at 3.67% and the ten-year at 4.34%. European bourse indexes dropped on the day as did Brazil (-2.8%) and Mexico (1.7%). The bulls rallied stocks in the final hour to save their day but did it too early and the major measures failed at the close. The DJIA dropped 51 points to end at 13543. The S&P 500 was down 7 points to 1501 and the NAZZ sank 15 points to 2795. Breadth was 2/1 negative on the NYSE and the NAZZ and volume was light on both. There were 295 new lows and 65 new highs on the NYSE. Asia was down big time overnight and Europe is lower at midday. Treasuries are flat and Gold and Oil are flat in the early going. The Employment Report said that 166,000 jobs were created in October. That is twice the number expected. Stocks are going to open higher on that news. We are going to do some selling on the higher opening. Poor Souls day is the day after All Saints Day and it’s the day to remember all the folks who have crossed over the River Styx. Given yesterday’s market action we would suggest that there are lot of folks including we and our clients who are also poorer souls today that we were yesterday. Our comments on yesterday’s market action (written during the day) were more positive than we felt after we viewed the carnage to our profits for the year in our accounts. We have not had a day where we surrendered so much hard earned yearly profits for a long time. And on an absolute dollar amount we have never had such a day. As a result we did some thinking. From yesterday’s action it was apparent that the issues we held had a higher beta than the markets as a whole. That means that the stocks go up faster and, unfortunately, down faster than the market. We came to the conclusion that we were taking too much risk. The November scenario we had envisioned did not include a 370 point down day. We had expected a more controlled pull back this month after the nice move up off the August lows. What we expected and what Mr. Market provided were not the same. And so we decided to reduce market exposure by selling those stocks that we owned for a trade versus those that we are comfortable owning. Our trading concentration has been in tech and so we were able to eliminate (ERIC, SYMC, YHOO, TXN, MU, and AMD) most of the issues for scratch profits or losses. We sold Ford for a profit since we have a lot of retail exposure with J Crew and Talbot’s. That is a continuation of our own, it don’t own, relationship with the stock. We took a larger than we like loss in Comcast and Boston Scientific. It is fun taking profits and painful taking losses but that is part of trading. We also gave up our Walgreen holdings for now at least. We think the recovery potential gains in JCG and JPM are greater than WAG. In our large/aggressive accounts we sold SBUX and WFC for scratch losses. Several folks asked what companies the SPDR Financial owns. Here is the distribution: we were in error yesterday when we said that Citigroup was 20%. Components and weightings as of 11/1/07. GMAC Financial Services, partly owned by GM said its third-quarter loss widened to $1.6 billion on a steep loss at its mortgage business, making it a continued drag on the auto giant's bottom line. GMAC was formerly GM's in house financing arm. GMAC posted a loss of $1.6 billion compared with a year-earlier loss of $173 million. Revenue fell 42% to $2.57 billion from $4.55 billion. GM sold a controlling stake in GMAC last year to a consortium of lenders led by Cerberus Capital Management LP, (the folks who bought Chrysler) after years of relying on the unit to offset weakness in high-cost U.S. automotive operations. But GMAC's escalating struggle with the housing downturn has punctured GMAC's importance to GM and its third-quarter loss will likely lead to the auto maker booking hundreds of millions of dollars in losses related to its GMAC investment. Oil ended the week up $2.22 at $95.30. Gold gained $15 to $808. The Hunts are finally even on their purchase of Gold in 1979-80. Treasuries closed higher with the two-year at 3.66% and the ten-year at 4.30%. The WSJ has a front page story this morning that Mother Merrill is parking securities off the books with buy/sell arrangements with hedge funds. Merrill Lynch & Co. , in a bid to slash its exposure to risky mortgage-backed securities, has engaged in deals with hedge funds that may have been designed to delay the day of reckoning on losses, people close to the situation said. The transactions are among the issues likely to be examined by the Securities and Exchange Commission. The SEC is looking into how the Wall Street firm has been valuing, or "marking," its mortgage securities and how it has disclosed its positions to investors, a person familiar with the probe said. Regulators are scrutinizing whether Merrill knew its mortgage-related problem was bigger than what it indicated to investors throughout the summer. In one deal, a hedge fund bought $1 billion in commercial paper issued by a Merrill-related entity containing mortgages, a person close to the situation said. In exchange, the hedge fund had the right to sell back the commercial paper to Merrill itself after one year for a guaranteed minimum return, this person said. While the Merrill-related entity's assets and liabilities weren't on Merrill's own balance sheet, Merrill might have been required to take a write-down if the entity was unable to sell the commercial paper to other investors and suffered losses, the person said. The deal delayed that risk for a year, the person said. That wouldn’t be illegal unless the securities weren’t full collateralized. Actually, that arrangement is how Mother and some other large brokers helped Enron hide liabilities. They paid billions in fines for doing so. These are the kinds of rumors that circulate in queasy markets and help to create corrections. Fear replaces Greed. It did with us last night. The DJIA closed up 30 points at 13598. The S&P 500 gained 1 point to end at 1509 and the NAZZ was up 15 points to 2710. Breadth was 3/2 negative and the NYSE and 5/4 negative on the NAZZ and volume was light. There were 90 new highs and 260 new lows on the NYSE. The stock markets are going to tank to begin the day and month. Citigroup was downgraded by CIBC and the NYT is suggesting that C may cut its dividend. Oh how the mighty have fallen. Where is Sandy Weill when we need him? Crocs is also on sale today with the share price down $21 to $53 on a muted forecast going forward. That is taking some starch out of the momentum players. Asian markets were mixed overnight as is Europe at midday. Treasuries have a bid on the stock market woes and Gold has touched the magic $800 mark in the early going with Oil at $95. The economic numbers released this morning suggested a slowdown in consumer spending. The WSJ has a story about the CEO of Bear Stearns playing cards and smoking dope while two Bear Stearns hedge funds were crashing in August. Rupert is settling scores. We are buying Wells Fargo Bank, SPDR Large Bank (KBE) and the SPDR Financial Trust (XLF) in our large/aggressive accounts. Citi is down $3 today on the negative news and it is 20% of the XLF. We think it is a good way to play C and the brokers while keeping some diversification in the industry with still a concentration on C.
Oil traded over $96 this morning, but two hours into the stock trading session has pulled back to under $94. One of the reasons given for today’s sell off besides the obvious reversal of yesterday’s month end pop by the bulls is that the Fed signaled yesterday that it was finished cutting rates for a while. Our guess is that they are finished as long as the sub prime mortgage mess remains contained. If it doesn’t and Citi and/or a mortgage insurer or Countrywide blow up then the Fed will cut again. Over the last twenty years the Fed has shown a willingness to correct the mistakes of banks by cutting rates. This in effect punishes prudent savers who buy fixed income instruments and rewards the risk taking banks. It does no good to lament this fact of economic life. It has always been so, if you owe enough money you have to be rescued. Now that they have a contract Chrysler is going to fire 10,000 souls. CNBC has just discovered that Iran controls the Straits of Hormuz. There is a conference going on in Washington speculating on what would occur if the price of oil reached $160 oil and CNBC is covering it. Their competition with Faux News is heating up and soon we expect bikini clad talking heads. The question is what would occur if Iran’s oil supply were interrupted by say, bombing Iran. 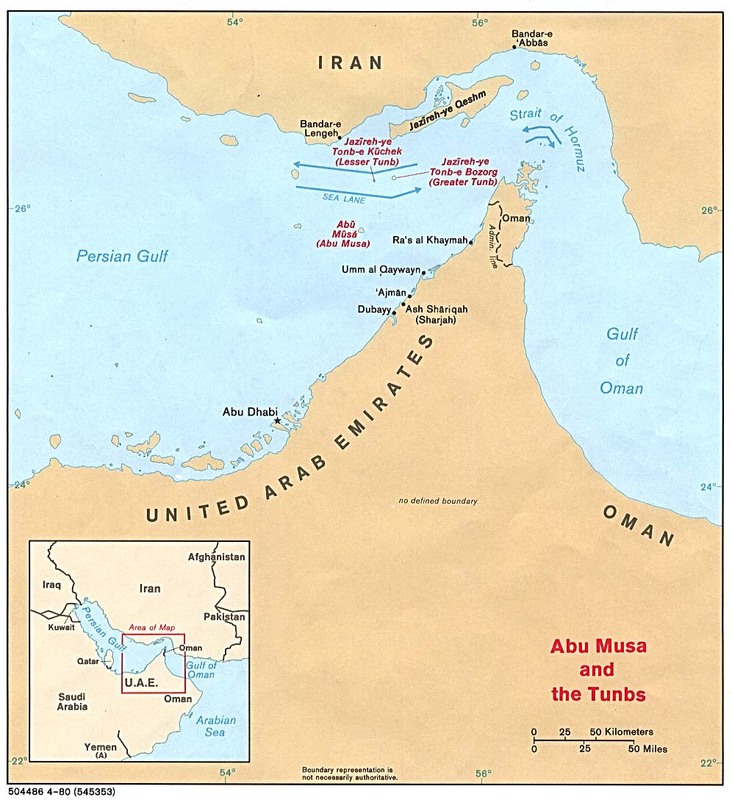 Not only would Iran’s oil supply be interrupted but we venture that all shipments from the gulf would be. Coupled with Citi going broke, and everyone in the country refusing to pay on their mortgages, the markets now have the glass one quarter full to contend with. Investors Intelligence bulls were still at 52 last week but we would guess today’ dire warnings have moved that number under 50. European bourses closed lower with Germany down 1.8% and London and France both down over 2%. Watching the markets today we know how the bears felt yesterday. With two hours to go in the trading day the bulls are abandoning ship and the bears are pressing their bets which are a heck of a lot easier now with the up tick rule gone. This is the time of year when panic and rumors hit the market place. If it were any other time of year we would be donning our hard hats and raising cash. But at this time of year such talk usually creates buying opportunities in issues and industries being abandoned. One caveat is that the major measures are so close to highs, but the rotation in stocks that has moved the averages to those highs has placed a lot of companies on their lows. And those are the stocks we are buying. We are not cavalier about the risks but we do think the risk/reward is in our favor on these issues at this time of year. We are avoiding the toxic stuff like the home builders and Countrywides of the stock world but the money center banks, tech, and select retail offer good potential. In our large/aggressive accounts we sold INTC for a scratch and bought WSM for a trade. Treasuries rallied today on the down stock market even though the consensus is that the fed is through loosening for a while. The two-year was 3.75% and the ten-year was 4.35%. Gold closed $3 lower at $792 and Oil lost $1.35 to $93.20. Mexico and Brazil were both down over 1.5%. The large money center banks each lost 5% or more of their market value today. CNBC says they haven’t dropped that much in a single day since 2002. The DJIA dropped 320 points to end at 13567. The S&P 500 lost 40 points to 1508 and the NAZZ lost 65 points to 2795. Breadth was over 4/1 negative but volume was light. It was also light yesterday when the markets rallied. There were 70 new highs and 180 new lows on the NYSE. The bears began the month with a big win.